In 9 AD, thirty thousand legionaries and their commander, Quinctilius Varus, were massacred deep within the Teutoberg forest. Led by the ex-auxiliary Arminius, the German tribesmen hunted the scattered legions as they desperately tried to extricate themselves from the forests and bogs of Northern Germany. Shrouded in mystery, even the search for this famous battleground has been going on for more than four hundred years (Damien). 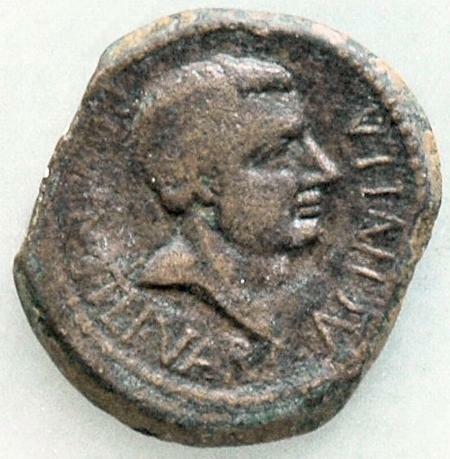 The discovery of Roman coins, among other things, have indicated a site near Osnabrück, Germany (Damien). The Germanic tribes were polar opposites of the Roman legions. While the Romans carried pilum, sword, shield, and fought heavily armored, the Germans carried a light shield made of sticks, a short iron-headed spear, called a frameae, and usually fought naked (Tacitus 40). Unlike the organized and silent Roman charge, the German Furor Teutonicus was a wedge formation of wild, bellowing ferocity that could ‘easily keep up with a cavalry encounter’ (Tacitus). Their remarkable speed is probably what made it possible for them to attack and then vanish into the woods as suddenly as they had appeared (Matyszak 99). The Germans were also reported to be “frighteningly large”, living mostly on a diet of meat, milk, and cheese, and of having a great fondness for beer (Matyszak; Tacitus). As time passed on, the Germans were becoming more and more Romanized as they traded with them for alcohol and fought alongside them as mercenaries and auxiliaries. Arminius, a young nobleman of the Cherusci tribe, was one such auxiliary. Velleius describes him as “strong of hand and quick of mind and far more intelligent than your average barbarian . . . the ardour of his face and eyes showed the burning spirit within” (Matyszak 167). Arminius fought in several Roman campaigns and had not only earned Roman citizenship, but was even elevated to the rank of Equestrian. However, Arminius did not appreciate the treatment given to his fellow tribesmen and was in reality deeply disgusted by Roman civilization (Matyszak 168). His experience in the army was both a catalyst and an advantage as he plotted against the Romans. In the autumn of AD 9 reports of disturbances set Varus and his legions in motion. Segestes, another tribal leader, warned Varus that he was walking right into an ambush. Varus ignored Segestes’ advice, firstly on the grounds that Segestes’ was biased, since Arminius and Segestes’ daughter had recently eloped, and secondly because Varus trusted Arminius. The Legions were already having trouble as they entered the Teutoberg forest; the densely packed trees forced the legions to spread out and made transportation of carts and building of roads very difficult. 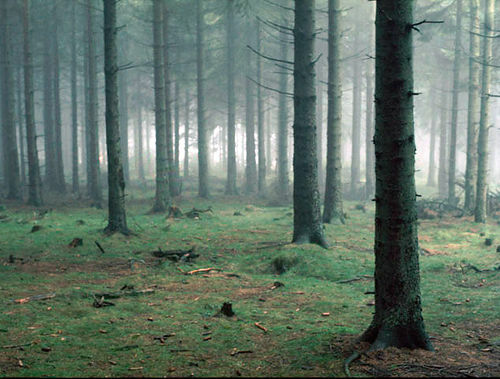 A few days travel had the legions, plus their wives, children, and servants, spread far apart deep within the forest. Without warning, the Germans attacked. Arminius herded the confused and poorly led Romans between the forest and a nearby marsh, picking them off until the entire army was destroyed. Arminius’ men were ordered to search for Varus’ body; when they had found him, Arminius had the commander’s head sent Maroboduus of the Marcomanni tribe. 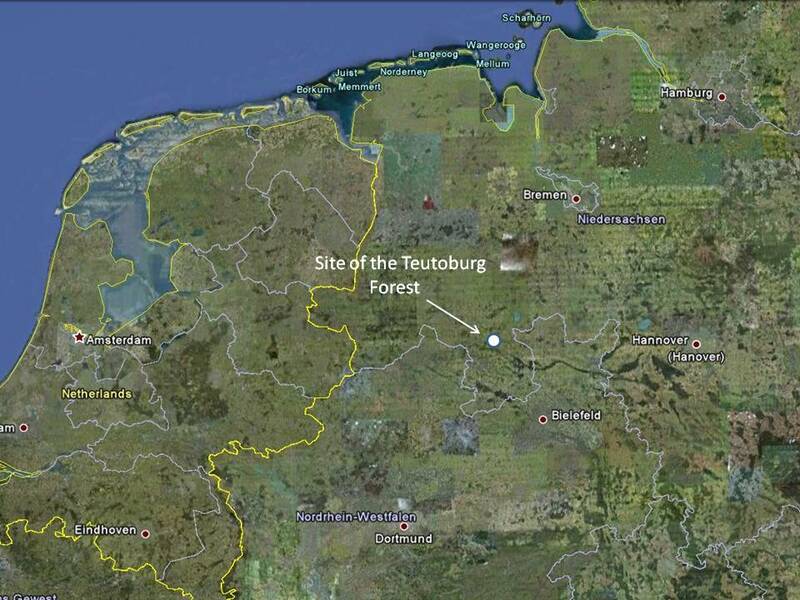 He hoped that this victory would convince the chieftain out of his stubborn neutrality (Matyszak 171). Maroboduus was not impressed and passed Varus’ head along to Rome. Tacitus, Publius Cornelius. Agricola and Germany. Trans. A.R. Birley. New York: Oxford University Press, 2009. Print. Damien, Gregory. “Coin clues to lost legions.” History Today. 40.8 (Aug90) 3. Web. 29 Feb. 2012. Matyszak, Philip. Legionary: The Roman Soldier’s Unofficial Manual. London: Thames & Hudson Ltd. 2009. Print. Matyszak, Philip. Enemies of Rome: from Hannibal to Attila the Hun. London: Thames & Hudson Ltd. 2004. Print.